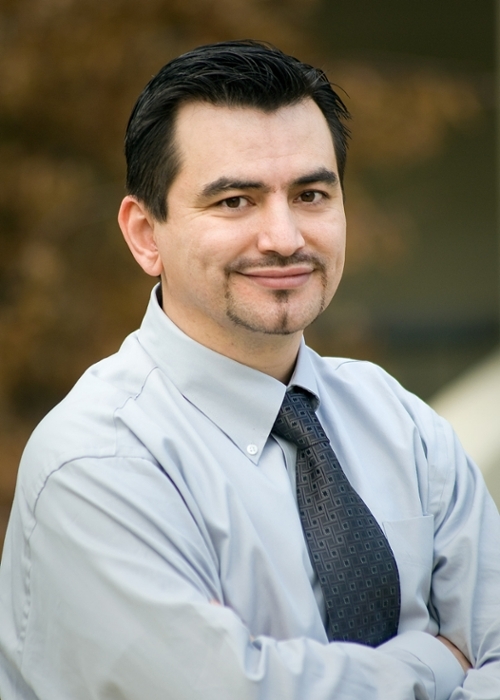 Sacramento State Professor Hakan Ozcelik, from the College of Business Administration, has been honored along with a select group of faculty across the California State University system for boosting student achievement. The Faculty Innovation and Leadership awards were announced on Tuesday, Aug. 28, by the Chancellor's Office. They went to 26 members of CSU faculties, including Ozcelik, the only Sac State professor to be so honored. A CSU statement said the awards, including some granted to campus teams, recognize faculty leaders who have implemented innovative practices that significantly improve student success. Award recipients teach and have expertise in a variety of fields from accounting to social work to mathematics. The award also recognizes how each recipients' work supports Graduation Initiative 2025 goals. Faculty receiving the awards will be formally recognized at a reception in conjunction with October’s Graduation Initiative 2025 symposium. “This award is a clear indication of our University’s commitment at the CSU level to promote academic innovation, quality, and leadership while providing education for our students," Ozcelik said. Marty Wilson, the CBA's interim associate dean, calls Ozcelik's research "innovative" and "so is his ability to connect his research with his students in the classroom and managers in the community." "Dr. Ozcelik’s creative approach to student learning demonstrates his commitment to student success and provides new models for student engagement," Wilson said. "This type of innovation and leadership exhibit the resourcefulness needed to improve graduation rates and reduce achievement gaps." Ozcelik is noted for his work in emotions in organizations, leadership, and loneliness in the workplace as well as the annual College of Business Administration Film Festival. His work has been published in the Academy of Management Journal, cited in the Harvard Business Review and featured on the Wharton School’s business radio broadcast. Ozcelik said he has worked to transfer the results of his research to his students as they produce their film projects. "Surprisingly our students’ creative interpretations that came out from these film projects have become a learning resource themselves, and started providing insights not only to the Sacramento community but also to some of the leading emotion researchers around the world," he said. Their reach has gone as far as various academic occasions in Copenhagen Business School in Denmark; Sorbonne and ESCP Universities in Paris; and at the Academy of Management Annual Conference in Vancouver, Canada. The annual film festival events have hosted about 1065 people from the business and academic communities in Sacramento. As part of the recognition, each honoree will receive a $5,000 cash award, and $10,000 will be allocated to their academic department to support ongoing innovation and leadership to advance student success, the CSU release states.